Phone numbers and usernames of over 4.6 million users of the popular picture sharing service Snapchat have been leaked online. Hackers have posted the database of these users on a website called SnapchatDB as SQL dump or as CSV text format. Hackers have posted the database of these users on a website called SnapchatDB as SQL dump or as CSV text format. Australia-based Gibson Security recently published a security vulnerability in SnapChat that exposed users’ phone numbers based on their usernames. 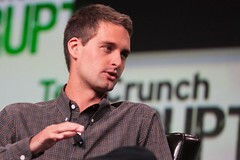 Snapchat downplayed the security issue with its service. The auto-destruct photo sharing service claimed that it had recently added additional counter-measures and continues to combat spam and abuse. It had said that the potential hack sounds ‘impractical’. In a blogpost, Snapchat said, “Theoretically, if someone were able to upload a huge set of phone numbers, like every number in an area code, or every possible number in the U.S., they could create a database of the results and match usernames to phone numbers that way. Over the past year we’ve implemented various safeguards to make it more difficult to do. We recently added additional counter-measures and continue to make improvements to combat spam and abuse.” However, SnapchatDB.com’s message indicates that the service did patch the exploit. On their part, the anonymous group of hackers has claimed that they have stolen the database to raise awareness about holes in Snapchat’s security. To ensure that the information is not misused by cyber criminals, the hackers have redacted the last two digits of the leaked phone numbers to safeguard users’ privacy. Previous PostGoogle kills file-sharing apps Bump and Flock!Next PostGoogle Glass available to Music All Access users!